Masashi Kishimoto ( Kishimoto Masashi) is a Japanese manga artist, well known for creating the manga series Naruto. His younger twin brother, Seishi Kishimoto, is also a manga artist and creator of the manga series O-Parts Hunter (666 Satan) and Blazer Drive. Two of his former assistants, Osamu Kajisa (Tattoo Hearts) and Yuuichi Itakura (Hand's), have also gone on to moderate success following their work on Naruto. Kishimoto's first work as a manga artist was Karakuri (? ), which he submitted to Shueisha in 1995. This earned him the Weekly Shnen Jump's monthly "Hop Step Award" in 1996, granted to promising new manga artists. This was followed in 1997 by a pilot version of Naruto (NARUTO), published in Akamaru Jump Summer. In 1998, Kishimoto premiered as a Weekly Shnen Jump artist with a serialized version of Karakuri in Weekly Shnen Jump, but it proved unpopular and was canceled soon after. 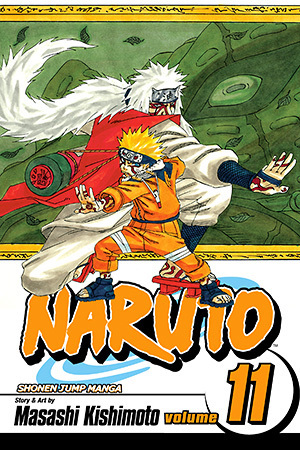 In 1999, a serialized version of Naruto began publication in Weekly Shnen Jump and quickly became a hit.